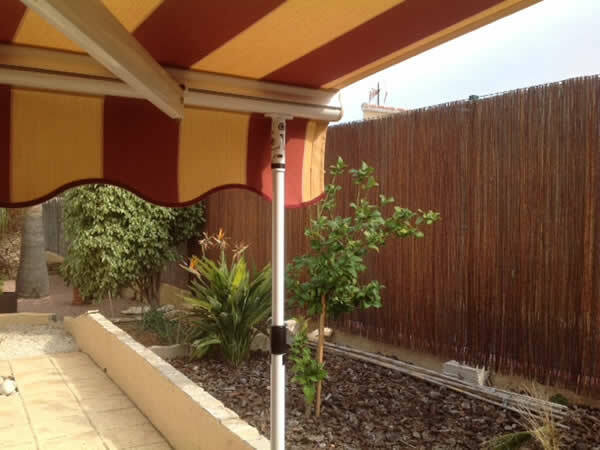 When an awning is installed on a side wall with no overhead protection, like the eave of the building, an aluminium roof extrusion (Awning Attachments) can be fitted. This will lengthen the life of the material as well as protecting the canvas from weather and birds. 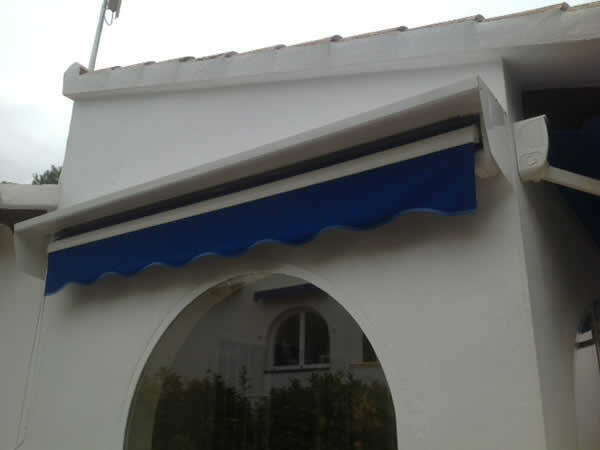 These robust arms can be installed on articulated arm awnings that are located in a windy location. They give total peace of mind and clip onto the front bar when the blind is retracted or used on a still day. A rising or setting sun can often shine straight under the awning. 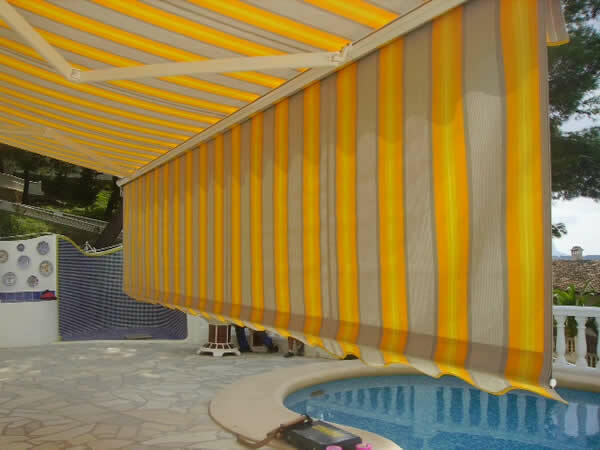 With this option fitted to the front bar of the blind the suns rays can be kept at bay and gives your awning optimum use.